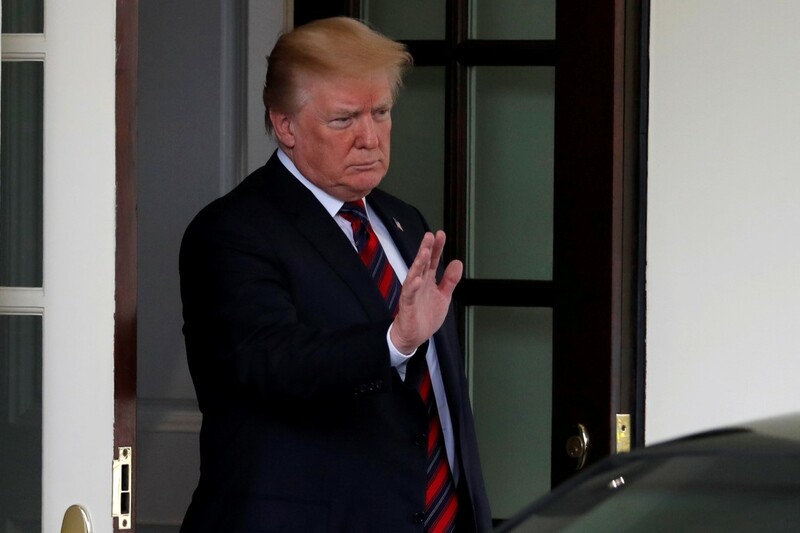 US President Donald Trump said on Tuesday there was a "substantial chance" his summit with North Korean leader Kim Jong Un will not take place as planned on June 12 amid concerns that Kim is resistant to giving up his nuclear weapons. If the summit is called off or fails, it would be a major blow to what Trump supporters hope will be the biggest diplomatic achievement of his presidency, and a huge disappointment for the president himself. "There's a very substantial chance ... it won’t work out. And that’s OK," Trump told reporters. "That doesn’t mean it won’t work out over a period of time. But it may not work out for June 12. But there is a good chance that we’ll have the meeting." Trump said whether the meeting will be held as scheduled will be determined "pretty soon." "North Korea has a chance to be a great country and I think they should seize the opportunity," he said. Secretary of State Mike Pompeo later told reporters the Trump administration was still planning for a June 12 summit, but he declined to predict whether it would actually take place. Trump's Oval Office remarks were the strongest sign from him yet about the possibility of a delay or cancellation of what would be the first-ever summit between the leaders of the United States and North Korea. It was unclear whether Trump was truly backing away from the summit or whether he was strategically coaxing North Korea to the table after decades of tension on the Korean peninsula and antagonism with Washington over its nuclear weapons program. The original purpose of Trump and Moon's meeting was to fine-tune a joint strategy for dealing with Kim. Instead it has become more of a crisis session after Pyongyang last week threatened to pull out of the planned summit. The White House was caught off guard when, in a dramatic change of tone, North Korea condemned the latest US-South Korean air combat drills, suspended North-South talks and threw into doubt the summit with Trump if Pyongyang was pushed toward "unilateral nuclear abandonment." "Trump doesn’t want to look like he wants this summit more than Kim does," said Bonnie Glaser, an analyst at the Center for Strategic and International Studies in Washington. "It’s a smart move to say that he is willing to postpone," she said. "But to be credible, the president really has to be willing to walk away and I’m not sure he is." Aides said Trump has privately been wondering whether Kim is serious about the summit after the abrupt change in tone. Moon told Trump in their private talks that there was no need to doubt North Korea's will to hold a summit, a South Korean government spokesman told reporters. White House spokeswoman Sarah Sanders said summit planning continued apace after what US officials said were constructive talks with the South Koreans. Trump heaped praise on Moon as an "extremely competent" leader despite some concerns voiced by US officials that Moon might be too willing to compromise with Kim. US officials have privately expressed concern that Moon, eager to make progress with the North, may have overstated Kim’s willingness to negotiate in good faith over the dismantling of his nuclear arsenal. Moon was optimistic about the summit in his Oval Office remarks. His national security adviser, Chung Eui-yong, told reporters en route to Washington that he believed there was a "99.9 percent chance" the Trump-Kim summit would take place as scheduled. Moon said he realized many were skeptical in the United States about the summit, "but I don't think there will be positive developments in history if we just assume that, because it all failed in the past, it will fail again." Trump on Tuesday reiterated comments from last week, saying Kim's safety would be guaranteed and his country would be rich if he denuclearized. But Trump said there are certain conditions that must be met and if North Korea refuses, the meeting will not take place. He said he would like a deal to commit North Korea to denuclearize over a "short period of time." Before seeing Trump, Moon met with Pompeo and national security adviser John Bolton and urged them to speed preparations for the Trump-Kim summit. "President Xi is a world-class poker player," Trump said. Pompeo later praised China by saying it has offered "historic assistance" in the pressure campaign against North Korea. The Trump administration is at odds with Beijing over trade. Trump on Monday urged China, North Korea's main trading partner, to maintain tight sanctions, tweeting that "the word is that recently the Border has become much more porous." Tensions between the United States and North Korea escalated last year as Pyongyang tested missiles believed capable of hitting the US mainland. Trump threatened to "totally destroy North Korea" if necessary and derided Kim as a madman, calling him "little rocket man," while Kim said the US president was mentally deranged.